Go West prove they still "have it" on their new EP "3D Part 3"
Radio Creme BruleeGo West prove they still "have it" on their new EP "3D Part 3"
This review is by our guest blogger Stuart Henderson. Contrary to popular belief, British blue-eyed soul duo Go West is still live and kicking. Their new EP “3D Part 3” is everything you would expect from Go West in 2013 and Stuart tells us exactly why via this review. “I wish I sounded as good as Peter Cox” said the late great Robert Palmer when interviewed back in 1985. Cox and Go West band mate, Richard Drummie, were widely complimented when they burst onto the scene for their ‘radio friendly white soul’ and flattering comparisons were made between them and the likes of Hall and Oates, suggesting a bright future. In the mid-eighties, they had a string of hit singles, a double platinum album and won a Brit Award. Their polished synth-based pop/rock, together with the bells and whistles, and very technical sounding production of their producer Gary Stevenson, was a combination that made them one of the industries brightest duos. The fact that they wrote their own material was a further indication that they were a step above your average eighties pop duo. After a brief period in the doldrums in the late eighties, they consolidated their position as hit-makers in the early nineties, having big success both sides of the Atlantic with singles “King Of Wishful Thinking” and “Faithful“, both from their third studio album, “Indian Summer“. Despite their success, they split in 1993, with lead singer, Cox, deciding to concentrate on a solo career, whilst also relocating to the US. Drummie stayed in the UK and whilst initially he vowed to keep the band going with a new front-man, this never ended up happening and he contented himself with a “behind the scenes” role in the industry, as a songwriter and producer. Although largely ignored by the media, including most radio stations, Cox and Drummie reformed as Go West over 12 years ago now and have been gigging and touring throughout this period. New studio material has been slightly thin on the ground during this time, but the long awaited (and long overdue) “3D part 3″ (which is the third of three separate eps that make up the 3D album) has finally been released. 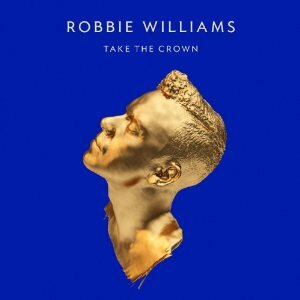 As with their last album, “futurenow“, Cox and Drummie have taken the production reins of this release themselves. The synths have (for now) been put under lock and key and have been replaced by a more guitar orientated sound and a more understated production than when Gary Stevenson was the producer of their first two albums. The production these days (certainly on their more up-tempo tracks) is much more of a ‘live band sound’ and indeed the musicians who worked on this release are pretty much exactly the same line-up as in Go West’s current live incarnation. This latest release features a couple of great up-tempo tracks, a poignant stripped back acoustic effort and a cover of a 2010 Rihanna chart-topper. Firstly, one thing is VERY clear and that is that Cox’s voice has lost none of its magic or power as the years have passed. In fact, I think it would be fair to say that his voice has actually improved with age. Not a common occurrence for vocalists approaching thirty years in the business. This five-track offering kicks off with one of the most up-tempo tracks of their career. “Runaway“, is a 150 bpm guitar and drum orientated rock track that would fit might comfortably within the soundtrack to many an action film. It features a rip-roaring rock vocal from Cox and great drum and guitar work from players who regularly appear in the live Go West set-up. Perhaps a bit too ‘heavy’ sounding to be present on the playlist of many traditional music radio stations, but likely to be a big hit with fans who favour the more up-tempo tracks and highly likely to go down a storm if present on the set-list at future Go West gigs. 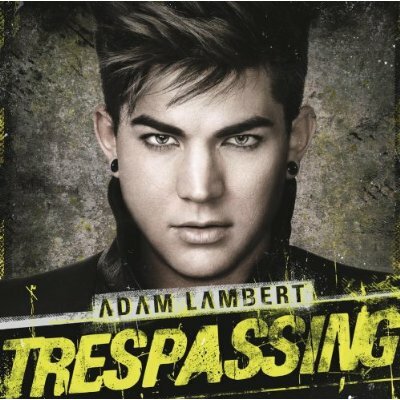 Track two is a cover of “Love The Way You Lie“, co-written by Skylar Grey and a chart-topper for Rihanna. Go West performed this during their last UK tour and it’s a testament to just how good they are live that this studio version sounds almost exactly the same. Cox’s vocals are simply stunning on this cover about lovers in an abusive relationship. Acoustic for the early part, with the drums building throughout to a slightly rockier crescendo. Cox’s silky smooth soulful voice simply glides through this 2010 chart topper. Track 4 is entitled “White Water” and features a massive surprise. It’s a very simple, almost classical sounding track, with a stripped-back production (but, that’s not the surprise.) The BIG surprise on this track is that the lead vocals are NOT by Peter Cox. Richard Drummie takes over lead vocals on this one. Lyrically this track is very poignant and has the theme of someone going through a difficult time in their life. “Can I keep my head up in this white water. If I don’t go under I can still be saved” sings Drummie. So, does Richard Drummie’s voice match up to Cox’s incredibly strong soulful vocals? In a word, no. Very few from this generation do though and because of this it is almost certainly unfair to compare Drummie’s effort with Cox’s voice. In their entire back catalogue, Drummie has rarely even been the predominant backing vocalist, so to say it was a surprise to me, for him to be the sole lead vocalist on any Go West track would be to put it mildly. What Drummie lacks in vocal power though, he certainly makes up for with a very emotionally charged vocal performance. Martin Shaw’s performance on the Flugelhorn compliments Drummie’s vocal beautifully on this track. It really is a lovely song and is sung with such emotion, that I’m sure I will not be the only one wondering how personal and relevent the lyrics may be to Richard Drummie at this time in his life. Finally, a re-recorded version of their worldwide hit from 1990, “King Of Wishful Thinking“, wraps up “3D part 3“. Not hugely different from the original and remade mainly as a business decision as they’d been approached several times by film companies keen to use one of their tracks in a movie, only for the opportunity to pass by due to red tape from their former record company who owned the master copies of most of their back-catalogue. Therefore, they re-recorded this, along with a couple of their other biggest hits, so that they had new master versions should they be approached by film companies in the future. Anyway, slightly different arrangement from the original and featuring a new vocal track from Cox, it’s a nice trip down memory lane to round off this current release, even if it is included as more of a bonus track than an integral part of the ep. So, as Mr Drummie always says at Go West gigs, “Who’s up for a bit of a sing song?” All together now! Don’t you just hate it when no one else joins in!!! It may have been a long time coming and I have a feeling it will be even longer before any new Go West material sees the light of day. So, if you already have parts 1 and 2 or whether you’re diving in at the deep end and starting with part 3, it really doesn’t matter. If you want a CD that includes great songs, great vocals and great musicianship then this is one for you. In fact all three EPs that make up the 3D album display Go West’s versatility and show they aren’t just a ‘one trick pony’ synth outfit. If you’ve only ever heard their earlier material, I think you’ll discover a new dimension to Go West in 3D. “3D part 3” is currently available exclusively from Townsend Records. We are an American internet radio station that broadcasts worldwide. The station features an eclectic mix of current pop and rock music from both sides of the Atlantic alongside hits, forgotten gems, and rarities from the last three decades. The music of Go West is a fairly regular staple on our radio station – including their 2008 single “Let Love Come” (this song topped our weekly airplay charts for 2 weeks). 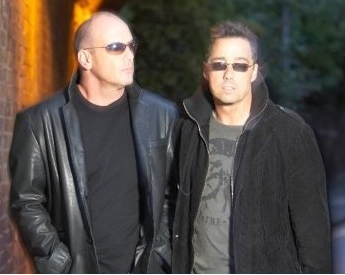 Currently “Determination” by Go West is getting 5 plays a day day on our station. Alongside new music by new artists, we also feature newer material by veteran artists such as Go West, Simply Red, Spandau Ballet, Culture Club, New Order, Pet Shop Boys, George Michael, Duran Duran, a-ha, INXS, Tears For Fears, and Johnny Hates Jazz. 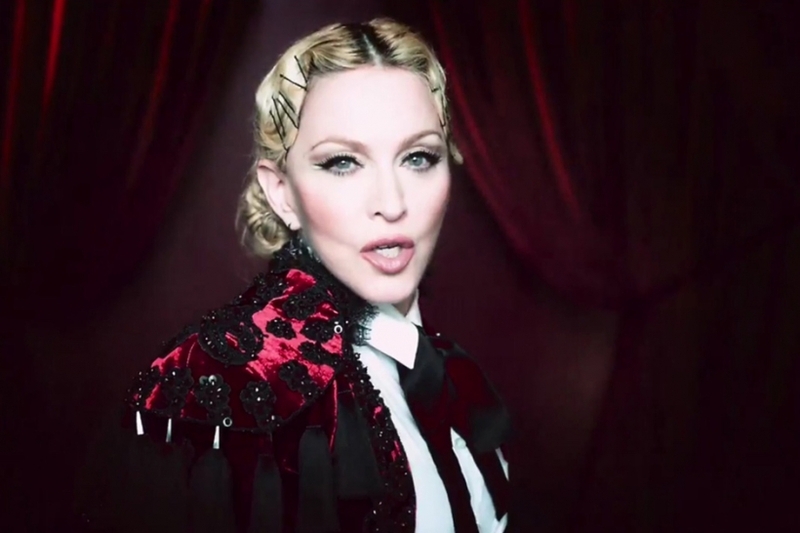 Is BBC Radio 1’s refusal to playlist new Madonna solely about ageism?